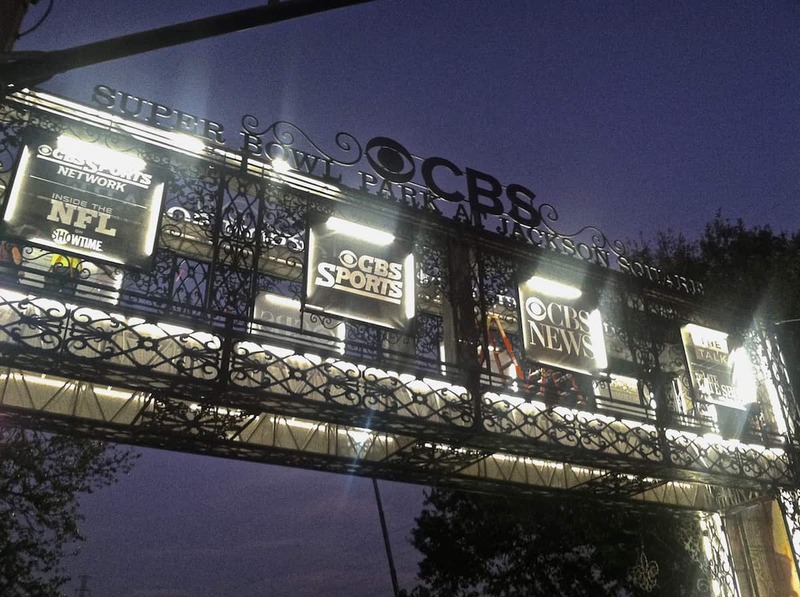 In preparation for Super Bowl XLVII in New Orleans, CBS Super Bowl Park was constructed in the heart of the French Quarter to serve as the CBS Central Broadcast Center during Super Bowl week. The compound included 4 outdoor studio sets that were used to broadcast 15 television shows, including CBS This Morning and CBS Evening News. 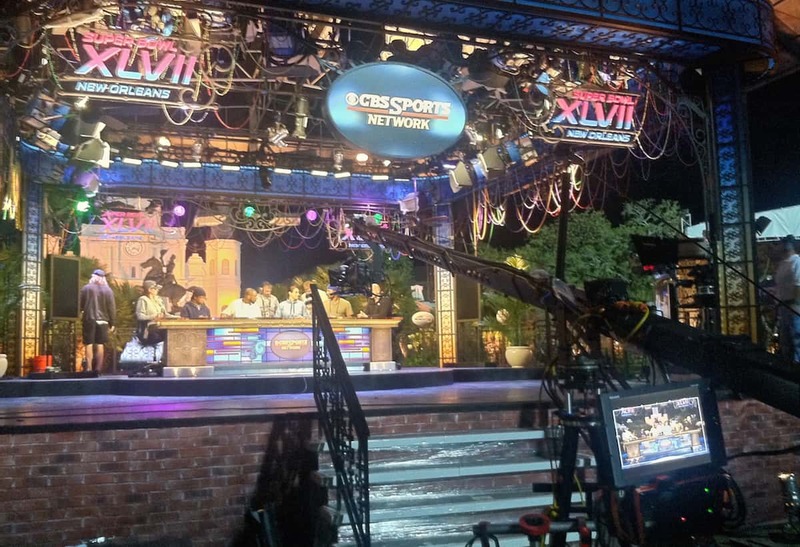 The Human Jib was hired by YES Productions to operate one of 2 jibs for the daily broadcasts throughout the week. 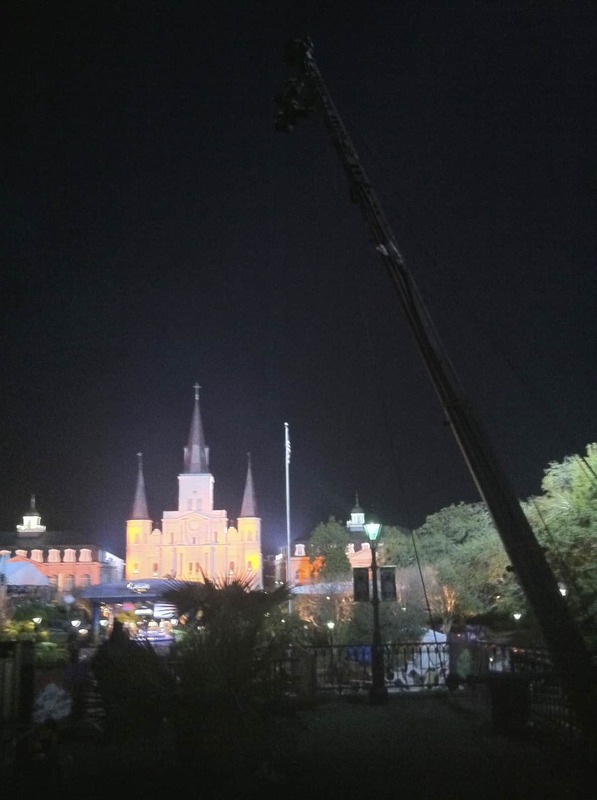 A 15ft jib configuration (pictured on the right) was owned and operated by Dave Landry of M3 Systems. 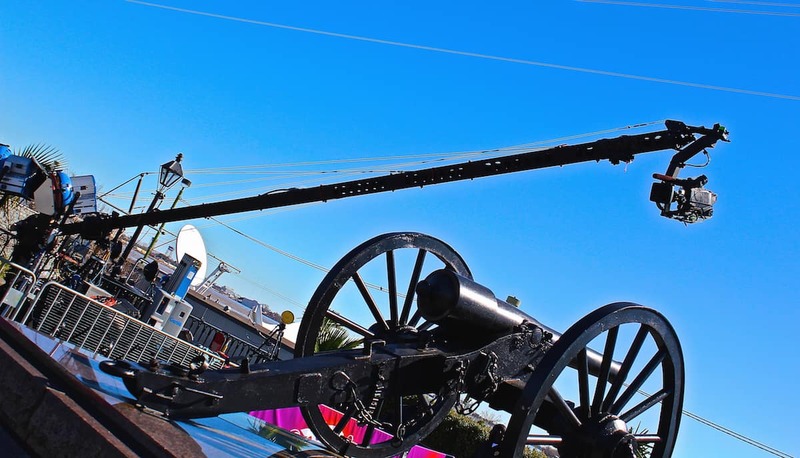 A second jib, operated by Mike Brown, was built at the top of Washington Artillery Park, overlooking the St. Louis Cathedral and the Mississippi River. On the jib, we mounted a Sony HDC broadcast camera with a 3g fiber transmission system and a Canon HDSX Super Wide Lens.